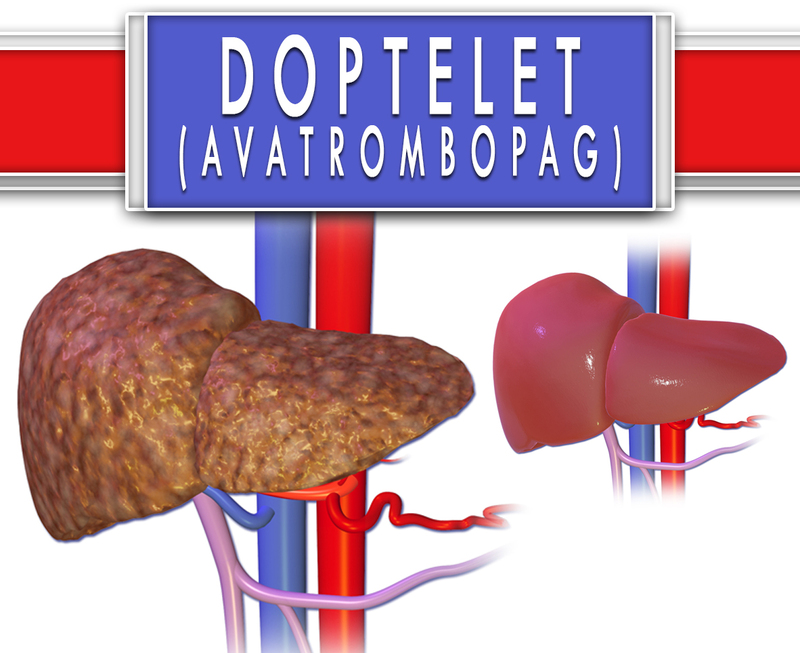 Doptelet (Avatrombopag) is indicated in people with chronic liver disease. This is also used in a certain blood disorder or low blood platelet count. It is for those who are scheduled to have a medical or dental procedure. Having low platelet count increases the risk of too much bleeding during certain procedures. This medication increases the production of platelets by your body to help prevent too much bleeding from the procedure. How does Doptelet (Avatrombopag) work? Doptelet (Avatrombopag) is an orally bioavailable and a small molecule TPO receptor agonist that stimulates proliferation. It is also a differentiation of megakaryocytes from bone marrow progenitor cells. In which it results in an increased production of platelets. This medication does not compete with TPO for binding to the TPO receptor. This has an additive effect with TPO on platelet production. Doptelet contains Avatrombopag as an active ingredient. It is a thrombopoietin receptor agonist. This is provided as an immediate-release tablet. Each Doptelet tablet contains 20mg of Avatrombopag for oral administration. How to use Doptelet (Avatrombopag)? This is usually taken once a day for 5 days in a row. Your doctor will tell you how much to take and when to start taking it. It is usually 10-13 days before your procedure. To help you remember it, take it at the same time each day. Use this regularly to get the most benefit of it. Do not double the prescribed dosage to avoid some complications. What are the side-effects of Doptelet (Avatrombopag)? If these continue or get worse, call for medical help or your doctor right away. Before taking this medication, let your doctor know if you have any medical history or current medications. Tell also to your doctor if you are allergic to this drug or if you have any allergies. This may not be prescribed to pregnant women. If you are pregnant or breastfeeding women, consult your doctor first. Call for medical help right away if an allergic reaction happens. Do not use this for the treatment of other condition. Keep this away from heat, moisture, and away from the reach of children.